Market Pairs / Coins :- Find coins support and markets / trading pairs supported by top cryptocurrency exchange. 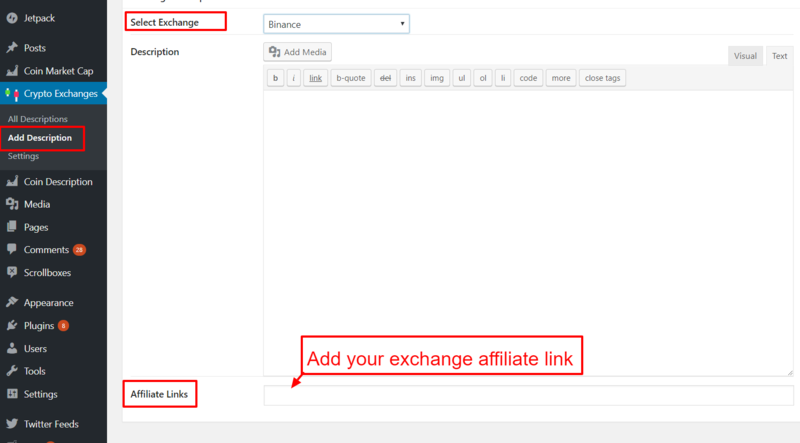 Auto-generated Exchange Pages :- This plugin automatically gernerates dynamic 200+ exchanges content pages inside your WordPress website. Yoast SEO Friendly Plugin :- Fully Yoast SEO compatible plugin, every exchange page contains a unique SEO title, meta description and og:tags. 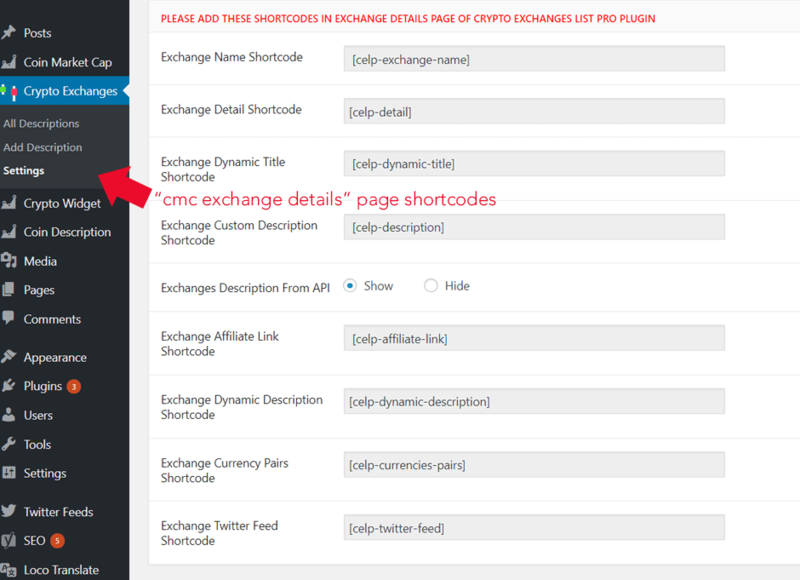 Smart Shortcodes :- Design single exchange page using smart crypto shortcodes that generates exchange specific dynamic content. Diplay Coin Historical Price :- You can display crypto coin historical price table and chart on single coin pages. Crypto Coins Calculator :- “Coin Market Cap & Prices” crypto calculator conatins 2 special features – [crypto to fiat converter] & [crypto to crypto converter]. GDPR compliance WordPress Crypto plugin! Tweak:-Improved code and fixed minor issues. Added: Advanced cache system for handeling huge data. Added: Single sitemap index for easy SEO submission. Improved:-Boosted Overall performance and speed. Improved: Complete code rewrites and optimized. Improved: More user-friendly design for mobile/tablet devices. 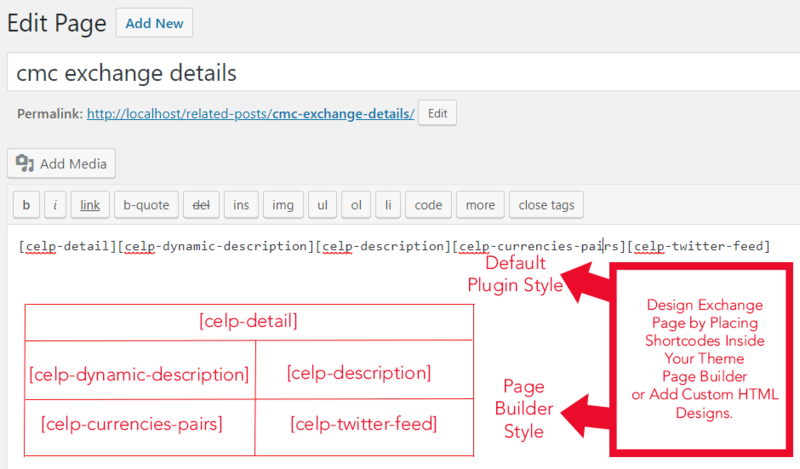 Added:-Integrated Generate Sitemap feature in plugin settings panel. Added:- Added new  exchanges logos.